The fresh smell of candy apples, cotton candy and carnie food, is enough to cause excitement. This year, the Georgia State Fair will feature 54 rides and roller coasters, new attractions, food venders and endless activities. The Georgia State fair was founded in 1857, and since 2011 it is being managed by Universal Fairs. Mark Lovell, president of Universal Fairs, owns the management company that brings excitement to fairs across the country. Universal Fairs was founded in 2004. Today, it’s a successful family business that runs five fairs. From necessity to business, the new company was designed to promote fairs. A bad experience is what inspired Lovell to create Universal Fairs, and with the help of his family the business became successful. Universal Fairs donates a portion of the money raised to organizations that support farming and agriculture. Two of the organizations that benefit from the proceeds are Future Farmers of America and 4H. “We raise money for the Delta Agriculture Business, it’s a non profit organization that supports FFA and 4H,” Lovell said. Moving from Macon, Georgia to Atlanta Motor Speedway, the Georgia State Fair was able to expand and grow. One of the advantages of the new location was the massive space and being located closer to the highway. Workers are getting prepared for the fair a week before it’s opening. The Georgia State Fair is a large attraction, and being at the Atlanta Motor Speedway provides the flexibility need to set up rides and attractions. The overall process usually takes about a week. As one of the newest attractions at the Georgia State Fair, guests can observe the wolves, while learning about conserving their natural habitat. “These are endangered wolves that have been hurt, and students take them in and tame them,” Lovell said. The wolves are properly cared for, but guests are not allowed to pet or feed the wolves. 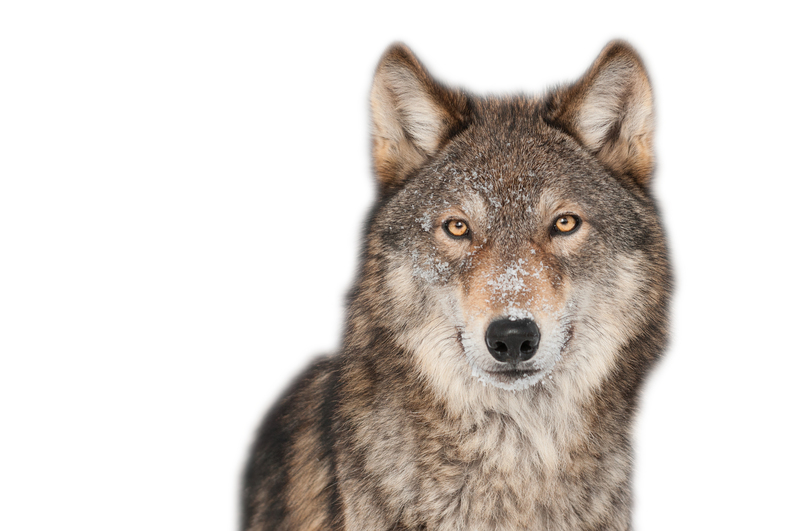 Wolf Encounters is an educational attraction, where guests are learning the importance of wolves in the wild. Swinging in from the trapeze, special performances by the Coronas Hollywood Circus. Everything that makes the circus exciting will be in one place.Observe professional circus acts juggle, hand balance, flying on the trapeze and more. The Puppetone Rockers is a popular attraction targeted for children. The combination of whimsical skits and non-stop action creates an interactive experience where the audience can get involved with the show. One of the most popular attractions is the banana derby, where monkeys ride dogs like jockeys. The unusual banana derby gets the most media coverage, and it’s one of the only times that people will see trained monkeys riding dogs. The smallest and cutest animals can be found at the petting zoo. The Georgia State Fair will have over 100 animals to include; mini goats, calves, baby pigs, buffalos, ponies, small donkeys and more.The interactive attraction allows children to observe and feed the animals. The bizarre and unusual Freak Show Deluxe is taking the body to the limits.The modern carnie sideshow will feature professional performers swallowing swords, eating fire, contorting and using dangerous props to perform obscure stunts. Award winning pigs will be squealing down a track three to four times a day.The smallest racers are popular for their humor. Other attractions include- Wade Henry (tallest unicycling performer), helicopter rides, master chainsaw and the tiger display. There are 54 rides and roller coasters such as; Wacky worm, Helicopter, The Zipper, Pharaoh’s Fury, Crazy Mouse, Merry Go Round, Flatline and more. Popular carnival food is deep fried and dipped in chocolate such as the cheesecake dipped in chocolate, fried oreos and red velvet funnel cakes; the traditional carnie favorites- cotton candy, corndogs and more. The cost of admission does not include the rides. Adults are $10 which includes anyone 13 and over, seniors ages 60 and up is $5, youth ages five through 12 is $5, and children four and under are free. On opening day there will be free admission for children 12 and under. With the purchase of a wrist band guest can get unlimited rides on everything. Wristbands are $20 on Sunday through Friday, and on Saturday it’s $25.Tuesdays are $10, and the price range for bands are the same for all ages. The Georgia State Fair is located at 1500 Tara Place, Hampton Ga 30228. October 2 through 11 are the dates for the fair.